Preorder War of the Spark Today! Nicol Bolas has arrived. And with him an army of undead. Planeswalkers across the multiverse are being hunted, trapped within the plane of Ravnica. Who will fall? Who will rise to stop Bolas? Get your first taste of the story to come at our War of the Spark Prerelease Weekend! 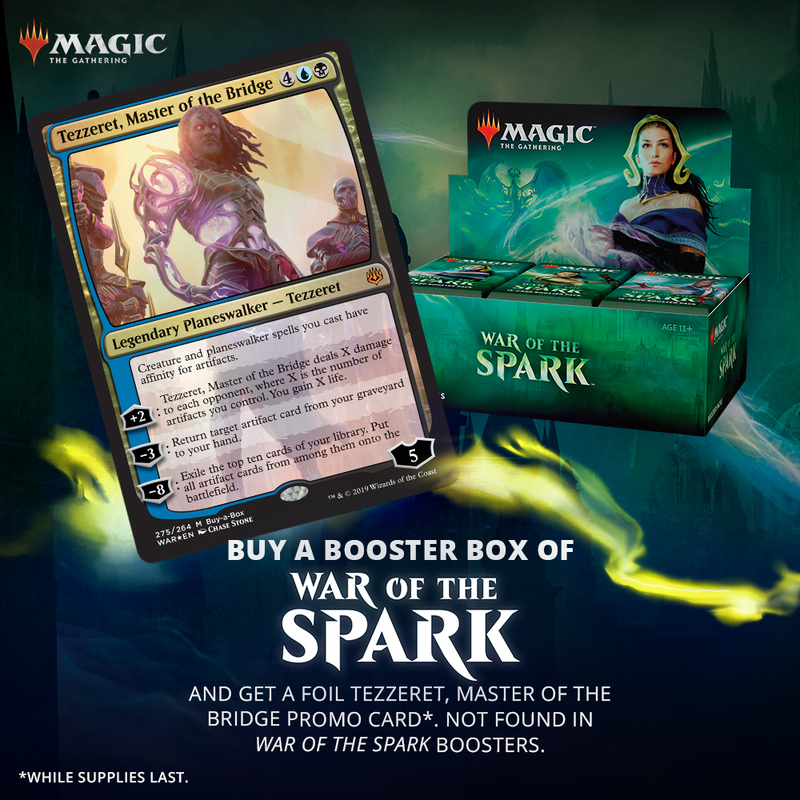 Preorders for Boxes, Bundles, and Planeswalker decks are also available! Special Events! Check the Calendar for more details! 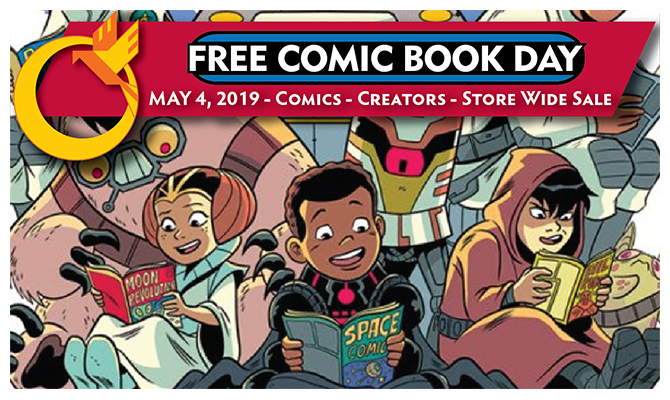 April 20th, 2019 FREE COMIC BOOK DAY!